A couple days ago, I brought over my pattern for a cute little crochet football hat. Click the link to go to that pattern: Newborn Football Hat. 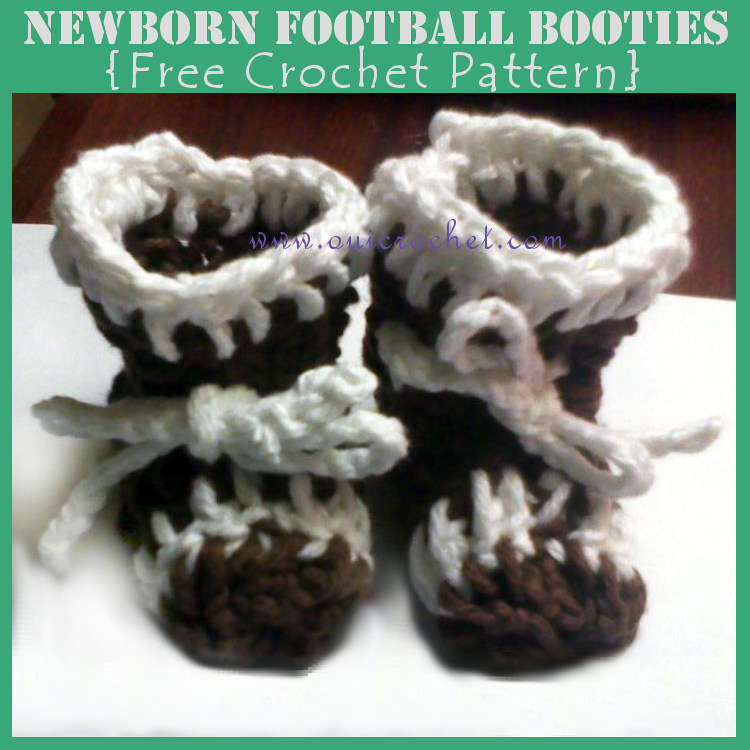 Today, I am bringing over my pattern for an adorable pair of matching booties, so that your little football fan can be ready for the big game, from head to toe! This pattern works up pretty quick, and I've included a few pictures to help you along. 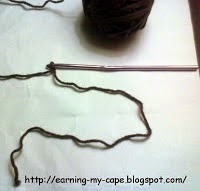 With brown yarn, make a slip knot, leaving a 10 inch "tail" for sewing later. Insert hook and ch 24. 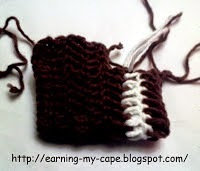 Switch back to brown yarn. Row 7: Repeat row 6. Finish off, leaving a 12 inch long "tail" for sewing. 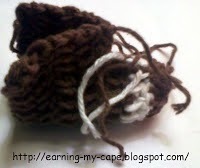 Fold in half and use the tail of the toe part to weave through the toe. Pull tight and knot. 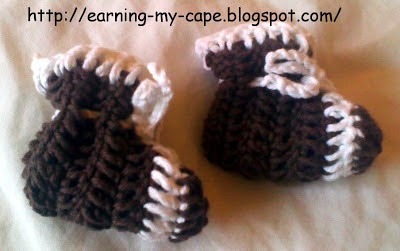 Then, using the same tail, sew the top and front of the bootie. 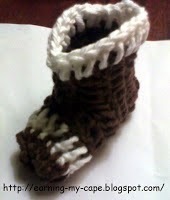 Now, take the other (beginning) tail and sew up the back of the bootie. 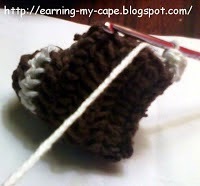 Attach white yarn with a sl st to the back of the cuff of the bootie. Ch 2, dc around the cuff. Turn right side and shape with fingers. 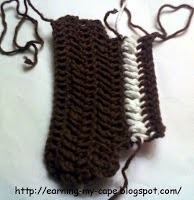 With white yarn, ch 60. Weave in ends. Weave chain through the ankle if the bootie and tie in a bow.